Defying Gravity: Ion Fortuna, Come at me. Ion Fortuna, Come at me. 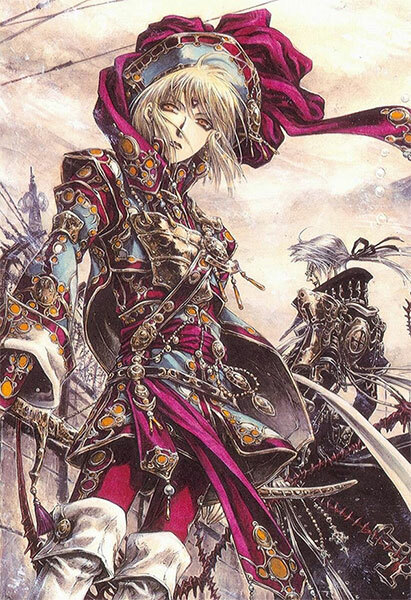 I have a lot of projects for the coming year, the most daunting one, is Ion Fortuna of Trinity Blood. 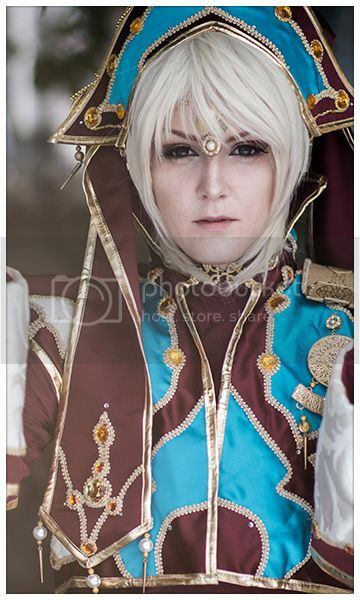 I'm actually not a Trinity Blood fan, but as soon as I saw this design, I felt extremely inspired, and couldn't help myself for making it a plan for next years Desucon. 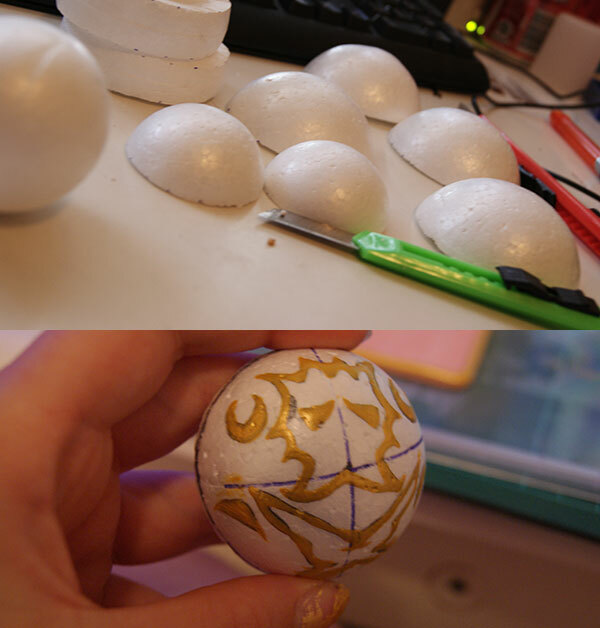 All the sowing will not happen before next year though, so I'm trying to make most of the jewelry before that. So here's a picture of the design that I'm working on, just so you know what I'm getting myself into. And since I know this isn't going to be a lightweight cosplay, I used Styrofoam, just to make it slightly lighter than clay would be. 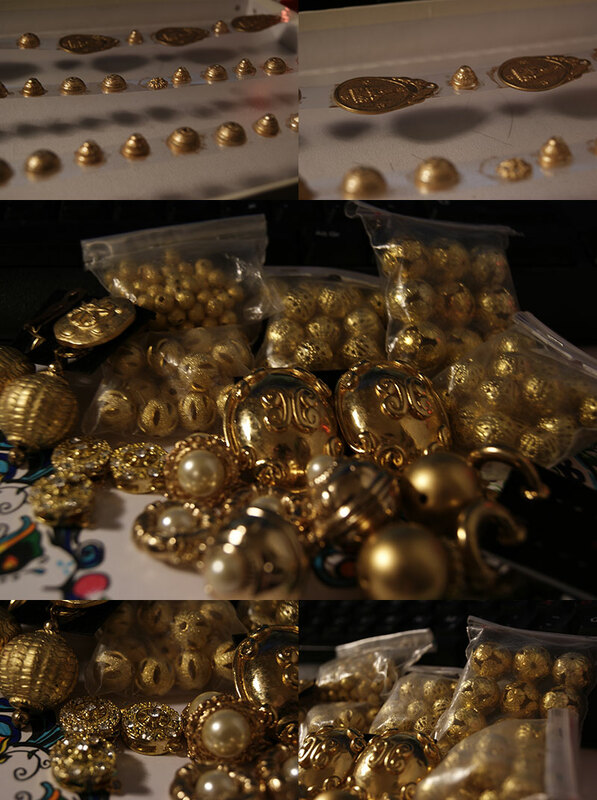 So I got a varies of different beads, dangly earrings, broaches and stuff alike. I also found a bag with all sorts of different kinds of beads, but most were silver, but that's nothing a little paint can't fix. So yes, that's an actual update!